Heijyo-kyu History Park Tenpyo Miharashi Bldg. Heijyo-kyu History Park Tenpyo Cycle Sta. Sanwa Saidai-ji Temple Minami-machi Bldg. 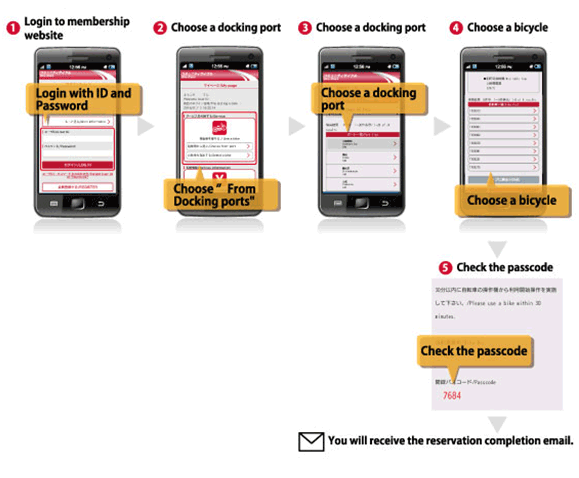 (1) Fill in the application form at the front desk of any rental point and register for the IC card. 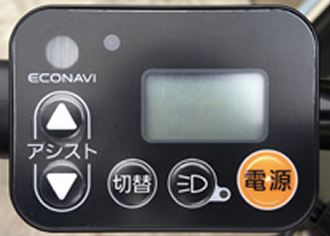 (2) Press START on the control panel of the bike and touch the IC card to the card reader. The electronic lock will open automatically. (1) Register using the link below and fill in the membership registration form. 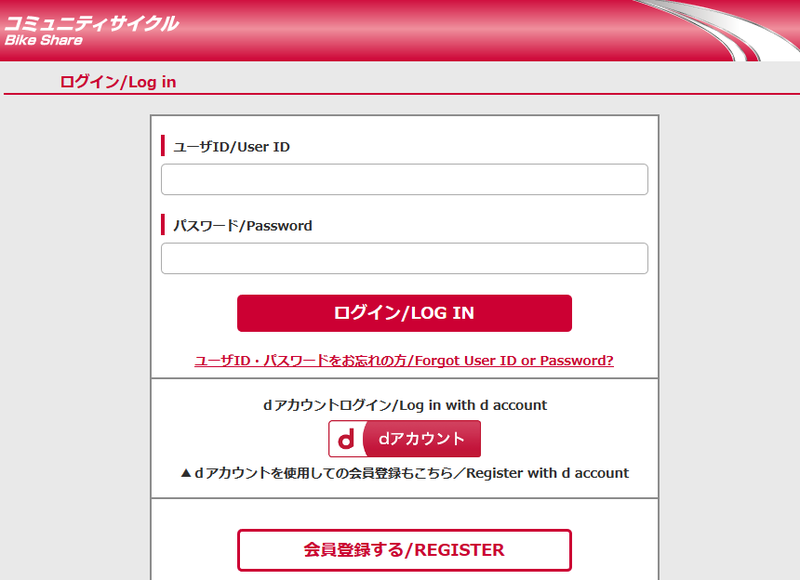 (2) Login to the membership website and reserve. 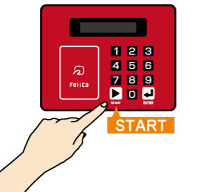 (3) Next, push the “start” button and enter the passcode on the device of the bicycle. 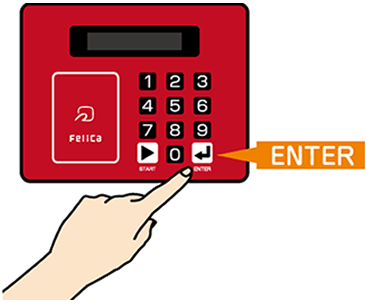 (1) Push the START button and enter the passcode on the device ofthe bicycle. 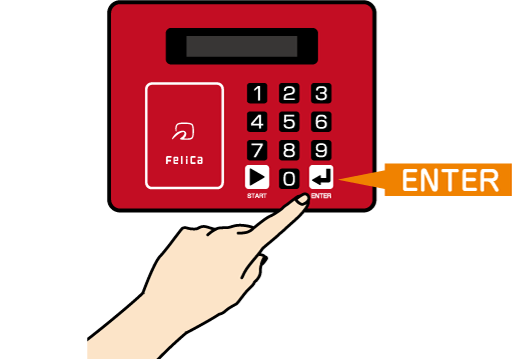 (2) The electric lock will be opened automatically. 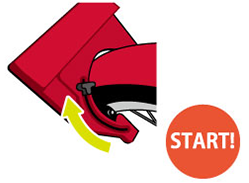 (1) Park your bike at any available station and manually lock the rear wheel lock. *A confirmation email will be sent to the registered email address when you successfully lock it. 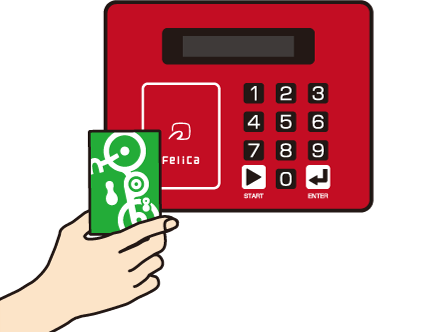 (2) To unlock the bike again, press START on the control panel then touch your IC card to the card reader, or reenter the pass code you used to unlock the bike the first time. 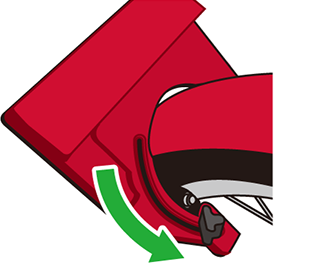 (1) Park the bike at any of the available station within the designated area and make sure you lock the rear wheel lock. 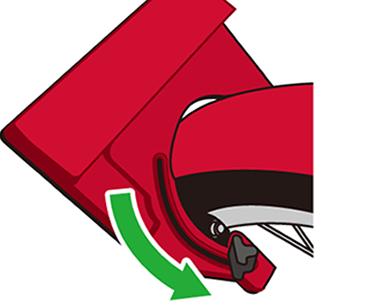 (2) Press ENTER on the control panel of the bike to complete the return process. *A flashing green light on the control panel indicates that you are within a designated area. *A confirmation email will be sent to the registered email address when you return a bike. *Please return the IC card to a rental point. (1) Press the power button. (2) Please wait for a couple of seconds before pushing the pedals. 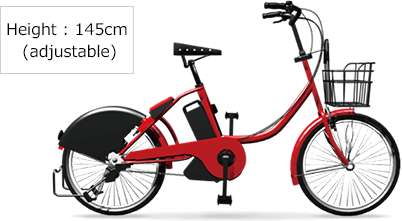 *The electric motor will operate once you press the power button so please be careful when pedalling. *Please check the battery level before using a bike. - More than 30 minutes per ride 108 yen /30 min. 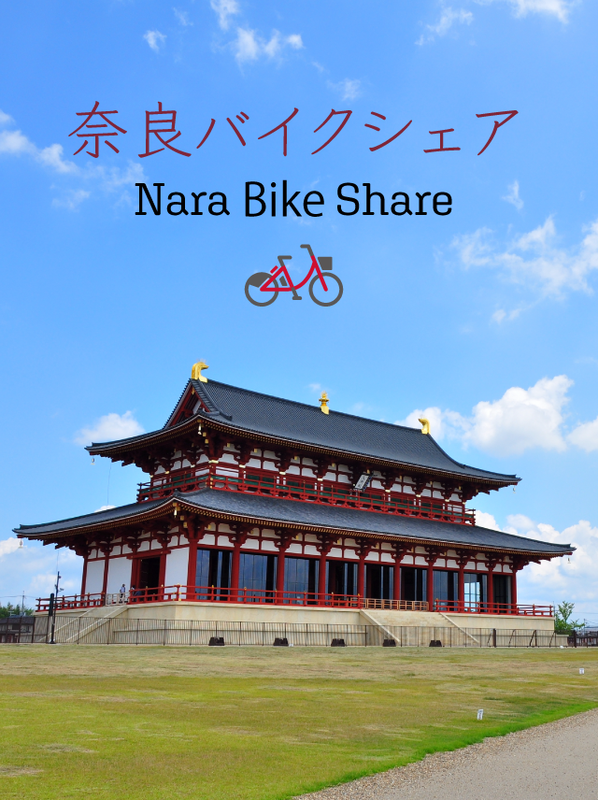 © DOCOMO BIKESHARE, INC. All Rights Reserved.